Reflections on Louis Bromfield, hospice & great indie bookstores. I treasure Shepherd’s review in Ohioana Quarterly last October, especially its phrase, “The ups and downs of Gilbert’s farm projects coincide with a deeper reflection on the poignant dilemmas common to all humankind.” Above all, a memoirist likes being told he’s not narcissistic. The Ohioana honor caps a season of firsts for me and Shepherd. This struck me in May, driving into northern Ohio to give a reading. I had just received the “Spirit of Hospice Rookie of the Year Award” from Hospice of Central Ohio. I’d undergone training as a patient companion the previous spring, and my bedside visits had changed me. At first it surprised me that no one seemed curious about my work with the dying. I’m sure I was the same way. Death is messy and scary, and my own issues with it were one reason I volunteered. And what I’d learned is that helping in hospice isn’t depressing. That the dying are still just people, no different from you or from me. Except a doctor has made official their imminent mortality. One reason for my hospice work had been to widen my sphere—in a time when my life and my wife’s seemed to revolve exclusively around our work at Otterbein University. And Hospice was a natural venue because of its service during my mother’s terminal illness. I was beginning to see another connection between joining hospice—just as my book was published—and my mother. She did not live to see Shepherd, but she had helped me with it. I read passages to Mom in her hospital bed. Ever the sharp editor, at one point she said, “There’s something wrong with that sentence.” She was right. Sometimes, curled up with the chunky mass-market paperbacks in an overstuffed chair in our Florida room, I ached with my sense of loss. When I excitedly showed Dad my books, surprise flickered across his handsome, impassive face—The Great Stone Face, a brother would one day call it—and he pointed out the hardcover originals in his library. Bound in black cloth, they were embossed with a red Harper & Brothers logo that showed a torch being passed from one had to another. 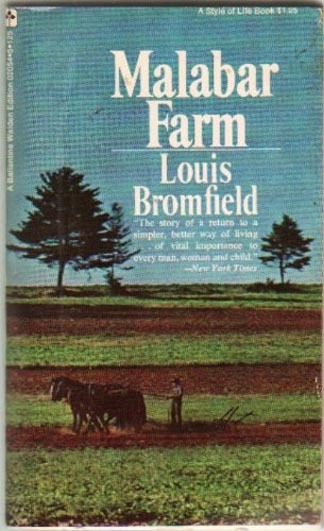 Though the Pulitzer he won as a young man was for fiction, Bromfield’s books on farming in tune with nature, especially Pleasant Valley (1945) and its sequel Malabar Farm (1948) are Bromfield’s literary legacy. 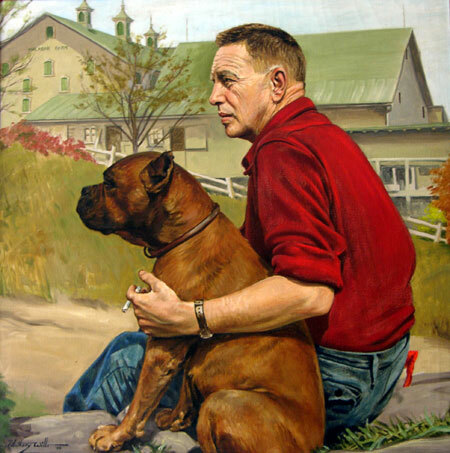 He won an Ohioana Career Award in 1946—just as his farming phase got started and ten years before his death. Bromfield wrote impressionistically, with sensory details and bold strokes, as if painting murals for friends in a cozy bar after a few drinks. The roots of his hunger for a bountiful, holistic life are explored in Ellen Bromfield Geld’s memoir The Heritage: A Daughter’s Memories of Louis Bromfield. It is lyrically written, a loving yet honest portrait of a man with epic ambitions and a forceful personality. 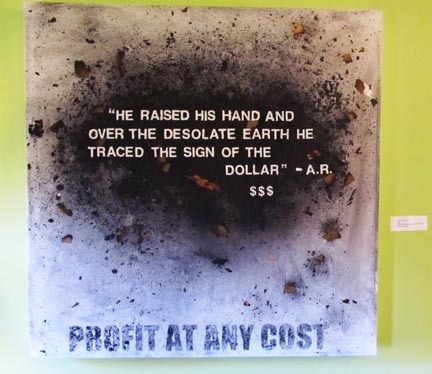 These qualities both attracted and alienated others. The Heritage won an Ohioana Award in 1963, and Ohio University Press returned it to print in 1999 when I worked there. Driving into Mansfield in the glory of Ohio’s burgeoning mid-spring, now pushing my own Bromfield-esque book and hosted by an independent bookstore, my belly was full of good fortune. Arriving early for the event, I ate a piece of blackberry pie in the diner beside Mainstreet Books. The old downtown and the diner took me back to the first job I landed after college, as a newspaper reporter in the north Georgia mountain town of Dalton. There were two eateries in downtown Dalton, the U.S. Café and the Oakwood, each with its loyalists. My sense of déjà vu deepened when I met Llalan Fowler (“Laylan”—the name is Welsh, after a great aunt who lived in Scotland) and Ben Madden, the bookstore’s young managers. Bromfield had excoriated Mansfield in fiction for its money-grubbing crudity, and now their bookstore is a cultural oasis there. I felt nostalgic. If you are doing anything interesting and creative in such a place, you meet everyone else who is. I’d been an actor in Dalton Little Theatre—“entertaining Georgia since 1869”—and from that, my newspaper work, and classes at a karate dojo, I knew an interesting bunch of people. Here in Mansfield was a sense of young folks lined out on good paths. And making a difference in their town. It felt good to think of such people busy in burghs across the republic. The shelves of Mainstreet Books hold a thoughtful and surprising selection; the store regularly hosts authors, musicians, and ice cream socials. 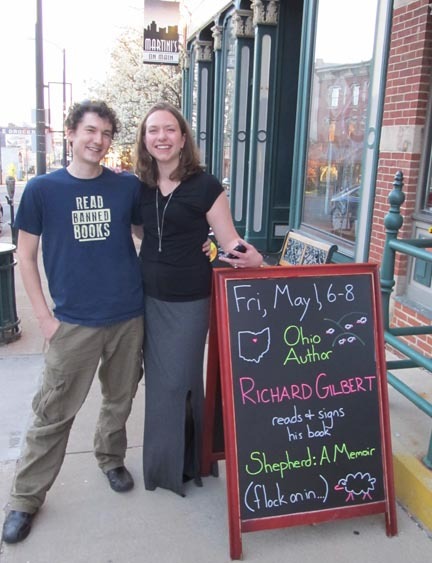 Llalan and Ben made their way back to Mansfield after college and various jobs—he started at Ohio State, went to Oklahoma and Denver, and she studied English at Ohio University and worked in bookstores in DC, Boston, and New York. Llalan’s parents attended my reading, along with some of her friends from high school days—others who had returned to Mansfield after college. One young woman listened thoughtfully, eating her takeout pizza while taking notes—clearly for her own work, clearly a writer. Another woman was interested in gardening and animals and finding a paying farming sideline for the acreage she’d inherited. A clergyman wandered in and asked me about agrarian author Wendell Berry. As Bromfield himself said in one of his farming books, it’s amazing what people can accomplish when they finally settle down and dig in. We seldom see our glory days as they happen. But if we’re lucky, one day we know they’re always happening now. Well Richard, I am, quite simply speechless (writeless?). At the very least I can say, CONGRATULATIONS!! For becoming a finalist, a hospice rookie-of-the-year, and for this mother-of-all-posts. Wow.. Thanks, John—as usual, I got going and couldn’t stop! Bookstores, Satellite Beach, Bromfield, rookie award, Ohiana finalist . . . it’s all good, if a bit episodic, but isn’t that the nature of blogging anyway? Congrats. You earned it. I’ll take “a bit episodic”! Thanks for reading and commenting, dclaud. The connections just keep rollin’ along. What a nice loop to do the reading in Mansfield, and to meet all those interesting folks who are connected to the land, to the town, to writing, and farming. It just goes to show the power of roots (all that diggin’ in! ), and, by extension, the power of memoir to trigger our own stories. PLUS…what a nice honor to be an Ohioana Book Award Finalist. Deserves congratulations regardless of the outcome! Well done. Well deserved! I’m glad you could make some sense of this post, Candy! I was working on the indie bookstore and learned of the award and just merged them . . . Oh well, I’m going to keep rollin’! Richard, I’m thrilled for you on both fronts! Thanks for sharing your great news. Thank you, Jenny. I hope your summer is productive AND relaxing! Congratulations, Richard. These awards, I hope, are the first of many. And, contrary to others perhaps, I am all ears when it comes to your hospice work. As you know, I have felt drawn to learning about death through my mission statement of preparing for the hour of my death one good day at a time. I have seen the same reaction from others. The horror of morbidity. I want to know how you have been changed. And I may want to follow you into this calling. Thank you for mentioning it here. Thank you so much, Shirley. This morning I almost cut the hospice stuff, the post is trying to do too much. But what the heck, it’s not the first mess I have uploaded here. It will take more thought and writing on my part to say how I have changed. But I know now that the main thing is what’s there, that it’s NOT depressing to talk with and help the dying. Quite the opposite, actually. And also that it is so much better for the dying person and everyone else if s/he can admit death is imminent. Fear of death causes so much emotional suffering and strangeness for the person and family. I hope and pray I will not be afraid—my parents set a good example in that regard, at least. But even if I cannot, I have learned from Buddhism that it helps if only one can at least to accept suffering—which in this case would include fear—not like it, understand, but not fight it so hard that that becomes the suffering. It seems most suffering is from trying to avoid suffering. Something big like not admitting death and fear of death comes out in other forms of suffering, and worse because masked. Congratulations, Richard! And how lovely you have the memory of your mother’s editing help and her connection to the book. Yes, thank you for noting that, Cindy. Glad, too, you didn’t cut the hospice section. We are much too isolated from death these days, since few die at home anymore. 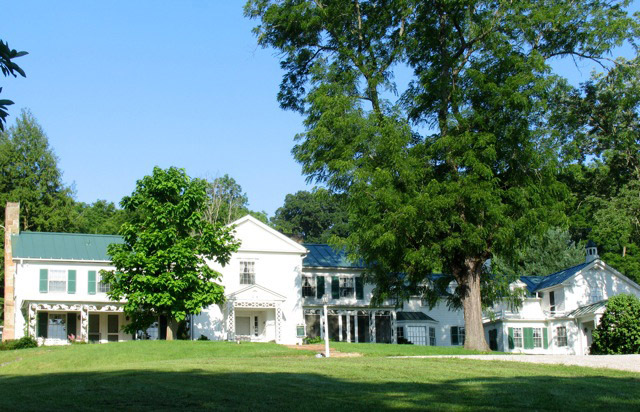 When my time comes, I’d like to spend eternity in a place like Malabar Farm. It’s gorgeous! And my idea of heaven. Yes, Malabar is amazing. The house has 32 rooms, they say, so quite the manse. Yet compared to today’s mansions is modest. And it is part of a barnyard with the barns and some outbuildings, so there’s that neat courtyard-of-a-castle feeling. Great trees all around . . .
Heartfelt congratulations on the selection of Shepherd: A Memoir as one of five finalists for the 2015 Ohioana Book Award in Nonfiction. Count me in as one who appreciates reading about your hospice experience. Being with another person close to and at the point of death is a privilege. As for messy, isn’t all of life? The one time I was there for a dear person in my life, her dreams and our conversations caused me to feel as if the door cracked open a sliver to before she went through to the other side, and I’ve been the richer for it after all these years. I enjoyed the kudos to the Maddens at Mainstreet Books. Their clever note on the sandwich board, “flock on in,” is adorable. You know I love streams, and this post meanders in a stream-of-conversational way that delighted me. Well, well. You wax poetic! I’m quite serious when I say I think it’s time for a follow-up to “Shepherd: A Memoir.” A possible title: “Shepherd: A Memoir, Chapter Two–The Human Flock.” I know I would buy it, whatever you call it, and enjoy reading it. Keep up the posting, though; I really enjoy your posts too (greedy, aren’t I?). The Human Flock! Perfect. Thank you for the idea and the endorsement, Victoria. Take care . . .